On any given weekday at CRP, you’ll find plenty of noisy playrooms. You’ll find kids huddled around boxes of crayons. Kids stressing syllables, and kids, well . . . just being kids! 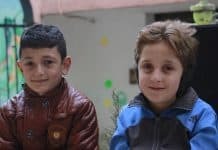 Karam’s son and daughter sit, beating on drums in time to the steady sound of their teachers voice, and the frantic music of more than a dozen other kids. However, sometimes the brightest smiles don’t come from the kids themselves, but from the parents lined up to greet them after activities are over. Drawings and snacks in hand, they file out the door and into the arms of parents that act as if it’s been years since they’ve seen each other. “I love anything that is good for my kids, and lets them use their talents and interact with people,” said Karem. Karem along with his son and daughter. CRP runs many programs, targeting many different groups, from our women’s-only Hope Workshop to our male-run barbershop. However, After-School Club is special for its ability to not only affect the children taking part, but their parents as well. The associated costs of sending kids to school in Amman, Jordan can be expensive. Especially for families who aren’t allowed to work, and have left all their material possessions behind to be swallowed by war. 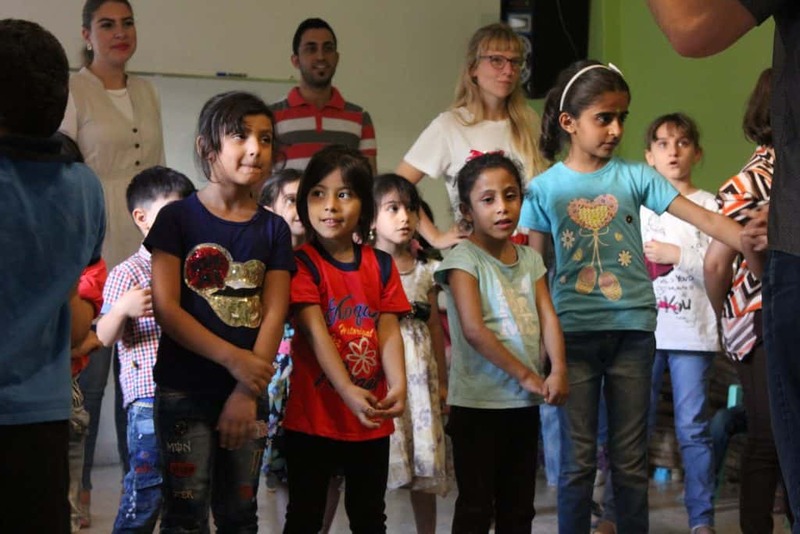 While CRP was able to get more than 1,000 kids back in school this year, we can’t change Jordanian law, which doesn’t allow re-enrollment if a child has been out of school for more than three years. Not only are these kids deprived of an education through no fault of their own, but making new friends far from the communities they grew up in can be daunting, especially for younger children. 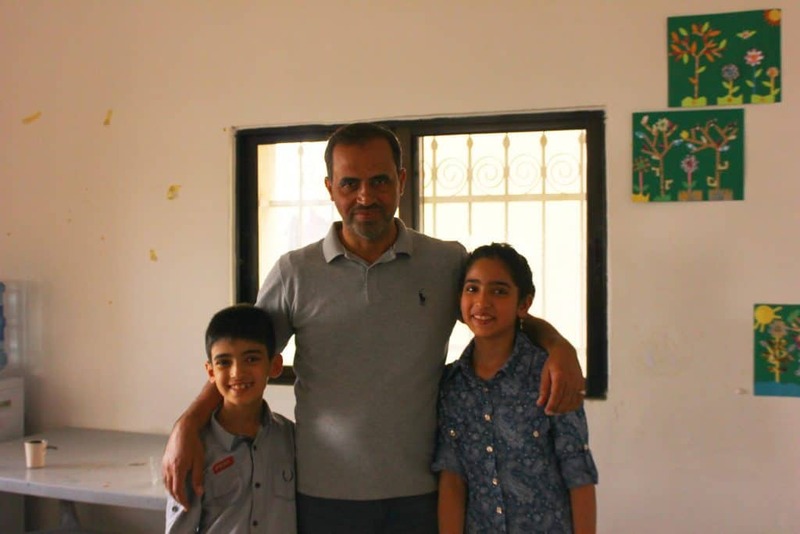 Karem and his family arrived in Jordan three years ago fleeing the violence in Iraq. Since then he has been unable to send them to school because it is too expensive. However, he does the best he can. He teaches them multiplication and division at home. “I want to make a good future for my kids, this is my hope,” he said. Cultures can vary from region to region, and from continent to continent. But some things always hold true. Mothers and fathers want what is best for their children. And like most parents, Karem was eager to talk about his kids. A girl in our After-School Club is caught daydreaming of something else. 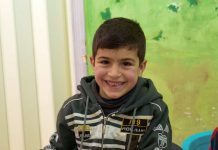 Karem has participated in CRP’s English classes and barbershop for around a year now. His wife is now taking English classes of her own, along with computer classes, and their children started After-School Club about three weeks ago. 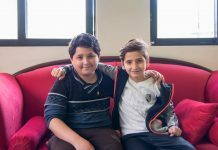 Karem expressed his hope they would make new friends along the way. After our interview, we walked upstairs to check on the drum circle, barely able to pull Karem’s kids away for a quick picture. Luckily, we managed to snap a few photos before they jolted back to join the other kids.